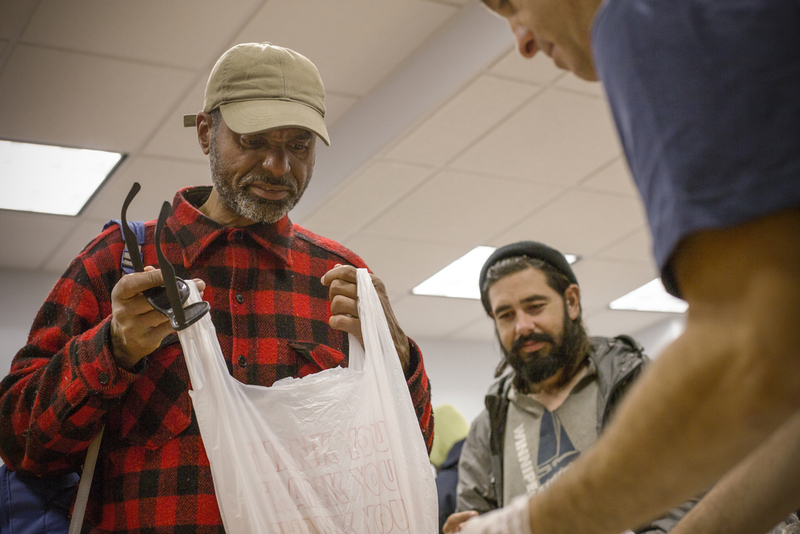 The Coalition's Grand Central Food Program (GCFP), in partnership with St. Bartholomew's (St. Bart's), runs a nightly soup kitchen out of a small common room on the north side of the church. It's a sparse room by day, with little to suggest the abundance of food, donations, and visitors that will arrive by nightfall. It was a beautiful thing to witness - this modest room transforming into a soup kitchen, filled with hope, love and immeasurable gratitude. It reminded me that the smallest gesture can mean so much - like a simple hot meal or a friendly smile. 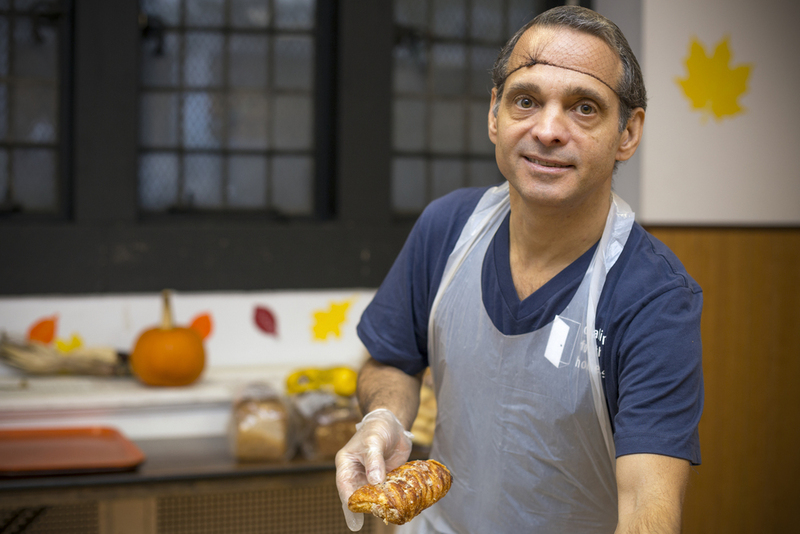 "It may be the only time in the day you get to look someone in the eye and actually make a difference," said one volunteer as he handed pastries and complete loaves of bread to people. Always with a smile. I was honored to photograph people on both sides of the serving tables. While I had to be mindful of people who didn't want to be photographed (understandably), many were willing to lend their faces to the cause. He's a man of few words, maybe because he's a man with a huge mission, and not enough hours in the day to accomplish his to do list. Actually, thinking back, he had few words for me - probably because I was stalking people with a camera. And if I had to venture a guess, Juan De La Cruz isn't a man who seeks out a spotlight. Watching him interact with Coalition staff and volunteers, it was plain to see he is adored by all. But even more apparent - he values each person lending their time to GCFP. And appreciates every effort. Both big and small. Yes, that’s his real name. In fact, he’s just one in a long line of James Taylors - from his father, to his son, to his grandson (though he's the only one who actually knows James Taylor's music). James tried hard to avoid my camera - but to not include him in this campaign would have been criminal. His good nature and tireless efforts (from Harlem, to St. Bart’s, to the food vans) were impossible to miss. But what struck me most was how loved and admired he is by his peers - and the men and women coming through St. Bart's. That really says it all. Don’t be fooled by their youth - these guys are an integral part of this well-oiled machine. From coordinating the food/donation intake at St. Bart's, to managing volunteers, to hopping on a van (or behind a table) when they’re a body or two short - these two guys keep things moving with fine-tuned precision. They're also just two of the nicest guys you’ll ever meet. From where i sit, "program assistant" doesn't quite say enough about what they do. "Will do anything and everything for the cause" seems much more accurate.